Building Information Modeling (BIM), an intelligent 3D model-based process, has transformed the way architects concept and build and is expected to grow exponentially. In fact, the Global BIM Market 2014-2018 research report forecasts the market to increase at a compounded annual growth rate of 17.4 percent from 2013 through 2018. Additionally, many commercial and government organizations are beginning to mandate the use of BIM because it can expedite project delivery and facilitate collaboration among team members in various locations. Increased Accuracy: BIM-driven design models mean more efficient operations and minimal redundancies. These models provide greater information than traditional 2D drawings, which offers a deeper understanding of a project’s details. Improved Collaboration: At its core, BIM is a process that heavily depends on collaboration. Cloud-based information sharing means that you can access model and project details, drawings, specification and much more remotely. This comes in handy when architects need to share project details with contractors, which can be accomplished using nearly any mobile device. 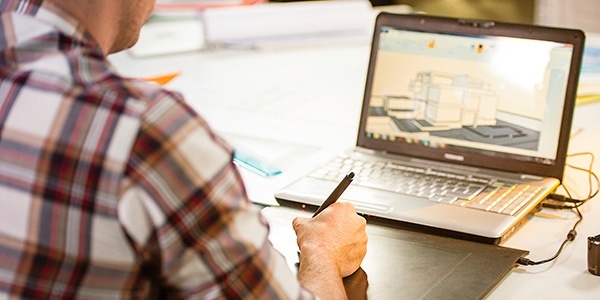 BIM is here to stay so it is critical for building product manufacturer reps to have an understanding of this approach when engaging with architects.